I don’t think that the sin of unbelief is like jumping from mountain top to valley low. No. Little by little, unbelief digs its roots deep into our hearts, eroding our faith in the sovereign goodness of God. “Unbelief, Jason? I believe in God. This is not a struggle for me.” If that’s your initial thoughts, just hang on, partner. Simply put, unbelief is doubting God. We are sinning against God when we doubt His truthfulness, His trustworthiness, His promises. How foolish to doubt the sovereign goodness of the One who created us? He holds everything together and we question His wisdom? To showcase even further the foolishness of our unbelief, even after we gave up on God and sinned against Him, He still did not give up on us. The One who hung the stars and holds them in place hung on a cross in our place to secure a right relationship to God and purchase for us an eternal inheritance with God. Think of it this way, pretend that I take my son on a week-long $10,000 vacation, dine at only the most exclusive and expensive restaurants, and to top it off, buy him a brand-spanking-new car all for his 16th birthday. This would never happen, but if it did, do you think I will make sure he has food to eat and clothes to wear the other 51 weeks of the year? Of course! What kind of Father would spend thousands and thousands of dollars at the drop of a hat on one of their children but forsake the beloved child’s day-to-day needs? Why would God give us the most valuable and prized gift in all the universe, His very own Son, but withhold from us something that we really need? So, Instead of listening to your own sinful thoughts, speak the truth of God to yourself. Put to death the sin of unbelief. 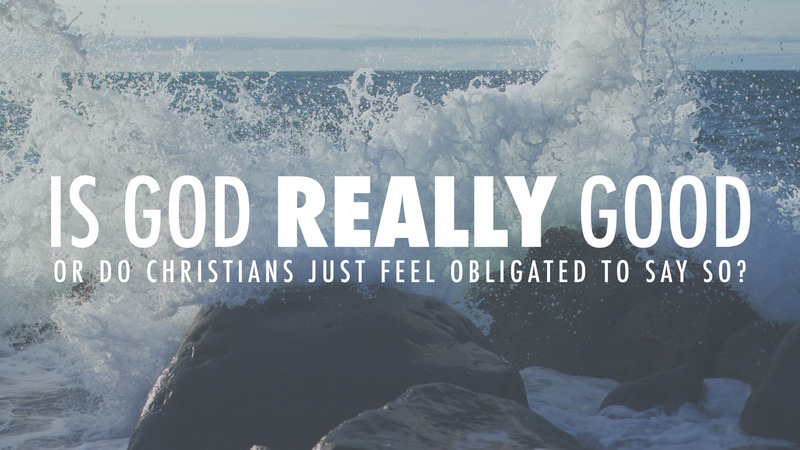 When doubt starts rising in your soul, frustrations start stirring in your heart, and the goodness of God becomes more of a distant theology than a daily practice, look to Jesus.